-im so so so thirsty and i have a drink! and i feel it going down my belly and such! and its so yummy. – my mum tells me i can have a “gathering” (yes and not a party) for new years! – family guy is on… excuse me. isn’t peter griffin just hurrendously hysterical…heh heh heh. 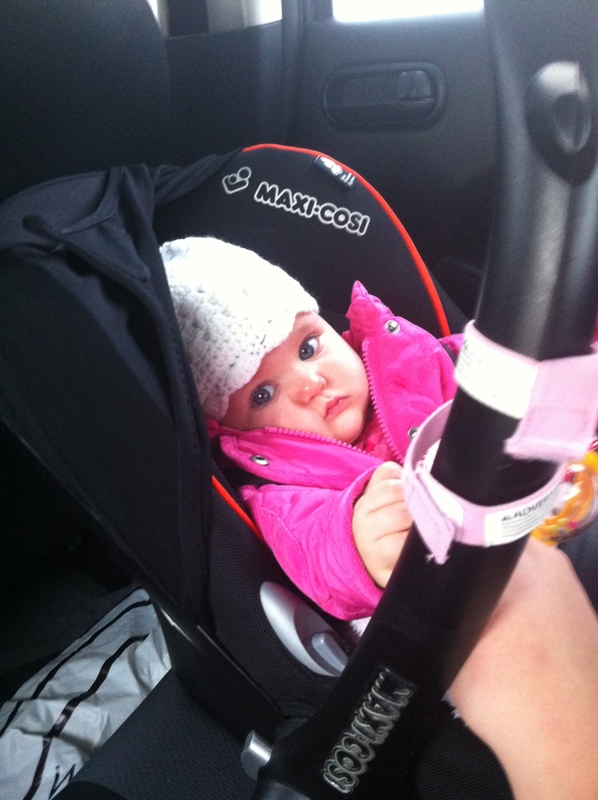 Baby D – my cousins little baby gurrrl Darcy Caroline Murtagh. She shares the same middle name as me so we are buds! and shes just the cutest little thing. 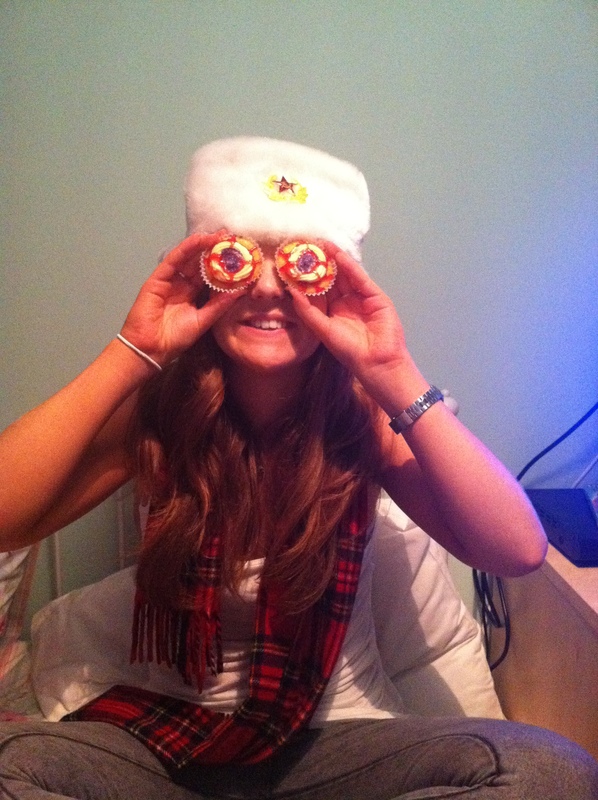 Me and my mum looked after her on monday and shes so much fun. shes only 8 months just now but shes so amazing and a little cheeky thing. so on monday night me and my friends were meant to be going out but because of my little bitchy heart and other circumstances we never so i had them up at mine and told them to get a bit dressed up. 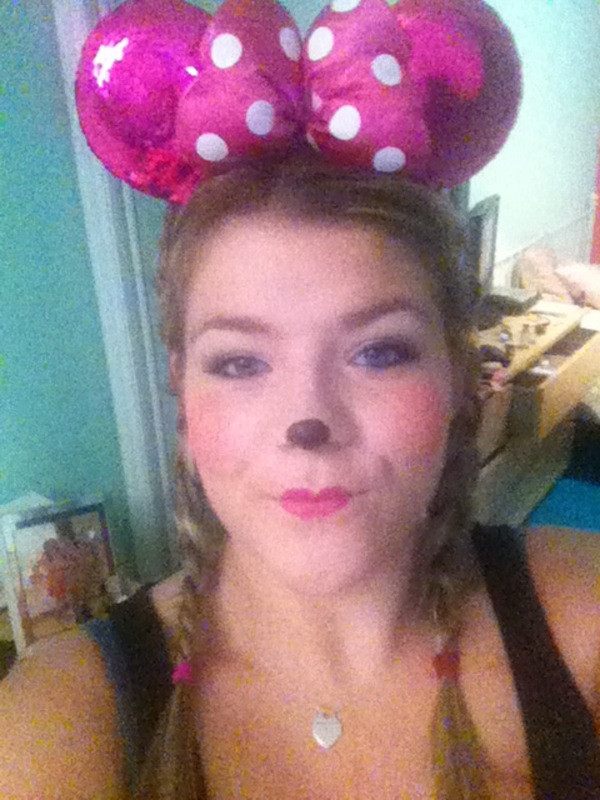 so i decided i was gonna be Minnie Mouse and put the ears i got in Hollywood Studios to good use. so i done pretty pink make up and everything and they didnt wear anything. well actually Kim (on the right) and Joanne showed up in hilarious russian hats (as worn there lol) and Kim brought Halloween cupcakes. YUM. we just sat about and caught up and had yummy Old El Paso nachos (best nachos out!). 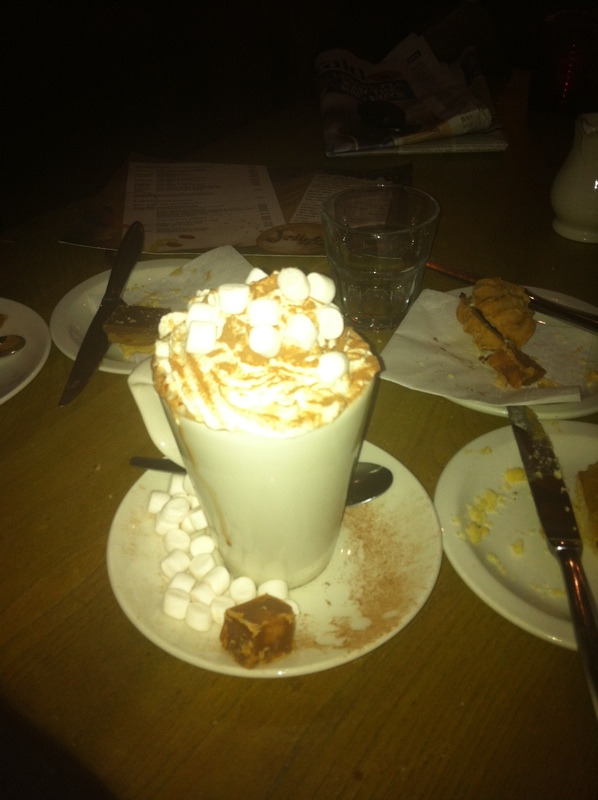 i went to see my aunts assistant in a show last night – Acorn Antiques – and before we went we went to Jelly Hill in the west end and had nice soup and sandwiches then i had some gorgeous hot choc. look how yummy it is. highlight of my week. my next blog should be either a ramble or a “fall faves” if i can be bothered choosing them all and taking their pictures and so on.